Explore our extensive line of sectional garage doors, from thermal efficiency and extreme durability to architecturally-inspired models. 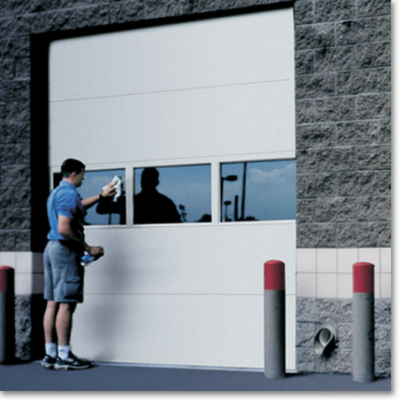 Find the right garage door for your business. With a proven track record for the thermal efficiency and extreme durability, Raynor TC Series doors are simply the best you can specify. With extruded polystyrene insulation thermally-bonded bteween two steel skins, TC Series doors have an exceptional R-value of 17.05. 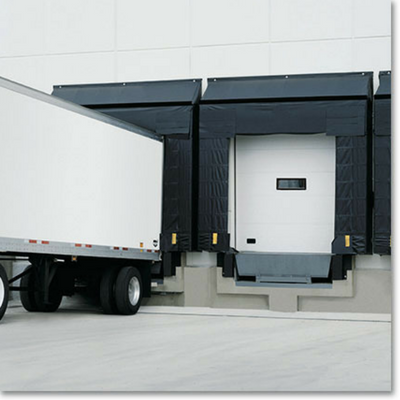 Additionally, its superior construction makes it the most specified sectional garage door on the market. This durable, energy-efficient sectional garage door has an exclusive process that fills 100% of the door’s interior space with energy-saving polyurethane foam insulation to deliver exceptional R-values. This process also provides superior foam density for excellent structural integrity. Choose ThermaSeal if you’re looking for maximum thermal protection. 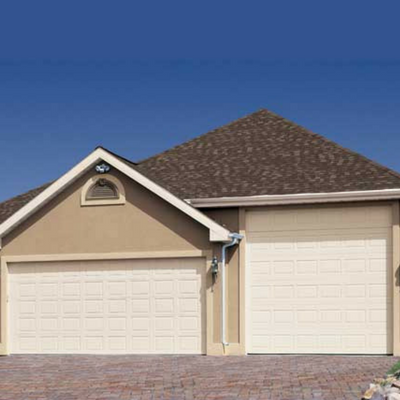 For maximum thermal protection, choose our durable, energy-efficient sectional garage door. With standard features like the corrosive-resistant, rigid-aluminum retainer and the EPDM rubber-floor seal, the TH160 is built to last. 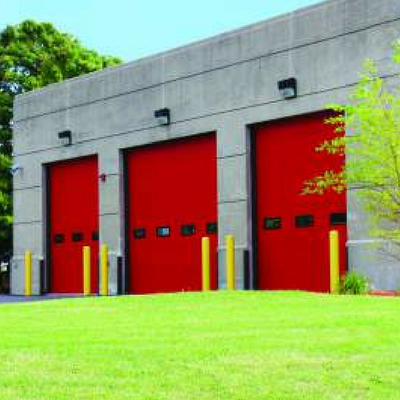 With 2″ garage door sections, TC200 is constructed of rugged galvanized steel inside and out. And, its two-sided steel design features a laminated core of CFC-free expanded polystyrene insulation for an R-value of 10.25. 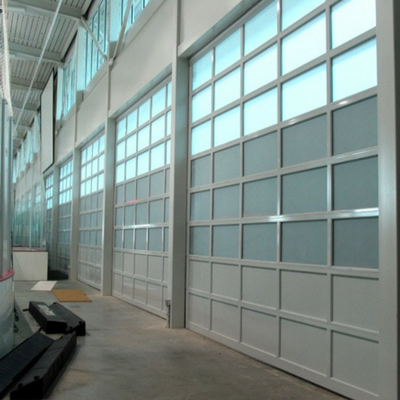 These garage doors are ideal for commercial and industrial applications. 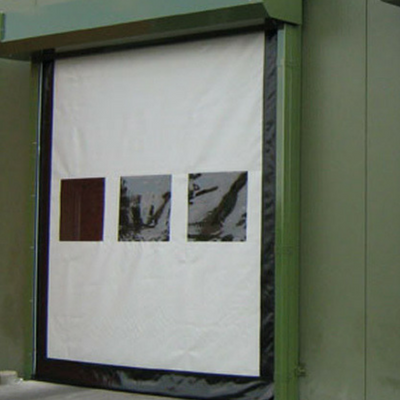 SteelForm door sections are a full 2″ thick and made of hot-dipped galvanized steel for maximum rust resistance. 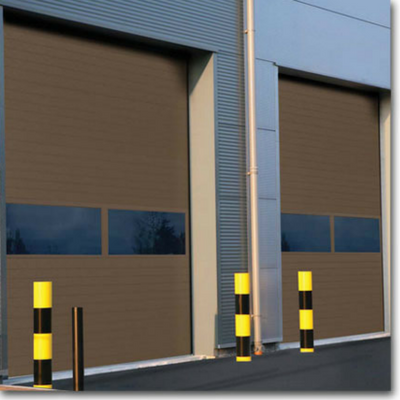 AlumaView Sectional Rail & Stile garage doors have long been the standard fixture for facilities requiring dependable, attractive doors that offer maximum visibility. With an anodized-finished, extruded-aluminum frame, AlumaView garage door sections are a full 1-3/4″,2″, or 3″ thick. 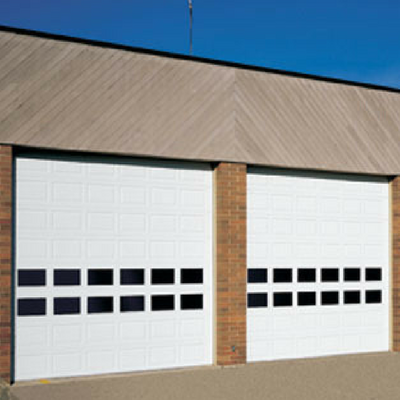 When your building’s facade needs a classic raised-panel design, choose from these garage doors. With style choices, like mixed-panel design, and safety features, including finger-protection, DesignForm doors offer the aesthetic options of a residential door, combined with the durability of a commercial garage door; matches Innovations Series residential garage doors. When exterior appearance is a primary consideration, choose a stylish, raised-panel StyleForm steel garage door. This series of doors are equipped with heavy-duty, commercial-grade hardware, offering the perfect combination of beauty and reliability.